Your kitchen makeover is a few clicks away. Did you know that you can increase the value of your home significantly with a kitchen remodel? The kitchen is the heart of your home, leave it up to us to make it the kitchen of your dreams. Thinking of a full scale remodel? We got you covered. Our expertise covers everything from enlarging the kitchen space, installation of cabinets, appliances, backsplashes, floor tiles and everything in between. It’s time to come home to a better living space. Starting a remodel as complex as the kitchen space can be an overwhelming task, but don’t worry, we are here to help you every step of the way. Maybe you know you want your kitchen to have an updated look, but don’t know quite how. Collapsing walls could create a modern open floor plan design, and make your entire home feel bigger. Installing cabinets can create an entirely new look and feeling of your kitchen and strategically increase your storage space. Touches like adding new countertops of applying a new coat of paint can work wonders for the comfort of your home. As our modern kitchen space becomes more of a center of social gatherings, many home owners opt for an open floor plan. The kitchen is no longer hidden away from visitor but is a place that flows into living and dining spaces. As experts in kitchen expansion, let us help you improve your space. We can collapse walls, rearrange the flow of your utilities, or expand to current outside spaces. Kitchen layout is also a vital element to consider. For larger kitchen spaces U-shaped designs work best and for medium sized spaces an L-shaped kitchen is the best to utilize. These kitchen layouts allow for the best flow, and design techniques to be implemented. It allows the most opportunity to take advantage of every inch of space through strategic design. No matter the current space of your kitchen, we are experts in optimizing specifically for your wants and needs. The most important elements to consider when updated your design are lighting fixtures, style of cabinetry, updated countertops, new tile work, and repainting. When applying new colors and textures it is important to strike a balance between modern styles and the existing design of your home, so one room will harmoniously flow into the next. Even how you arrange your kitchen utilities is vital. Within the remodeling world, there is a common rule known as the ‘appliance work triangle’; which refers to the alignment of the refrigerator, oven, and sink. This creates a space where you are able to move the easiest between the three. The Home Platinum Services Experts Are Here to Help! Whatever your vision is, Home Platinum Services are here to help you. We can help you create your dream kitchen within your budget. Through our extensive experience, and meticulous pre-planning we can guide your kitchen to make the best possible use of your current space. 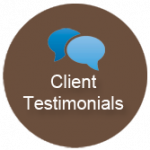 We specialize in kitchen remodeling and are passionate about making your dreams come true! Creating a kitchen with the provision of color, interest and enhanced light is a challenging task. However, at Home Platinum Services we make it a hassle free and pleasant experience for you. Envision your own private sanctuary, complete with the highest quality workmanship that will add value and beauty to your personal space. Believe it or not, the kitchen is the room in a house, that many people decide to start first. In fact, the value of a home increases significantly only with kitchen remodeling. In other words, if you decide to sell your house, kitchen is the place that increases the value of the house after renovation. Consider collapse of one or two walls, which will make your kitchen lager, friendly and efficient. You may also include the installation of new cabinets in order to modernize and increase storage space. However, if you do not want to make the kitchen bigger, then you can simply replace the floor tiles, back splashes, appliances and kitchen cabinet doors. You should also consider adding new countertops and painting to the walls. 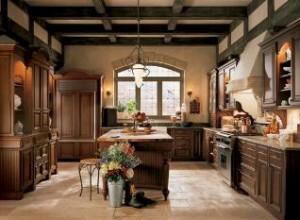 In the world of kitchen remodeling, cabinets are the mainstay. There are so many different kinds of kitchen cabinets that suit various budgets, requirements and convenience. Many of these cabinets are easily available at stores and have do-it-yourself (DIY) fixes that allow you to set up the framework in your kitchen all by yourself. For the more complicated cabinets requiring skilled technicians, there’s Home Platinum Services to help you out! To ensure that you know what kind of kitchen cabinets you are buying for kitchen remodeling in Plano, here’s a ready list from our experts. Read on to know all you need to find out about kitchen cabinets. This is one of the most basic cabinets that you can get for your money. For people looking to spice up their kitchen space within a restrained budget, buying an excellent stock cabinet is the best idea around. Stock cabinets for kitchen remodeling can be assembled by an amateur and if you find that the mounting mechanism is daunting, call Home Platinum Services. Our experts will be readily there to help you out. Stock cabinets are usually made of particle board. The finishing on these cabinets can be gloss or matte. For kitchen remodeling in Plano & Frisco, Home Platinum Services has experts to guide you on carving out customized cabinets designed especially for your kitchen. We have skilled cabinet designers who measure up your requirements and suggest designs and layouts type of wood that work best in your kitchen space. In the custom cabinets department, those made out of solid wood are the best option. In this kind of cabinet, the frame along with the drawers and doors are all made of solid wood. Because these cabinets are built uniquely for your kitchen, they look admirable when installed. Our experts of kitchen remodeling in Plano will get the cabinet installed in your kitchen. Ordered Partially Customized Cabinets. This kind of cabinets lies within the zones specified in the first and second categories. While partially customized cabinets cannot be picked off the shelf like stock cabinets, you need not get a cabinet maker to your home to take measurements either. You can measure up the requirements as per your kitchen needs and then order a skilled cabinet maker. Browse online to find the cabinet you are looking for or visit the local stores. But before you do so, talk with our kitchen remodeling experts at Home Platinum Services. They will help you finalize what kind of cabinet will be required in your kitchen. Select the design, the interior specifications and the styling according to the suggestions of our experts. Finally, the kitchen cabinet that you buy must be of a color that works well with the rest of your kitchen. The space factor is also important in this scheme of things. 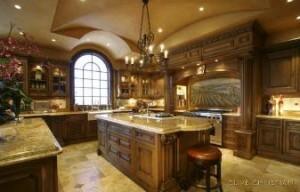 If you are looking for kitchen remodeling in Plano, give us a call. We will guide you through the entire process and your kitchen will find a cabinet that adorns it well! Today kitchen is no longer a space for cooking alone. With age people changed and their ways of living changed as well and hence kitchen no longer remained a space where cooking takes place. The busy lifestyle made the kitchen a hub like space where we dine, we gossip, we do our official work and not just that even it is a place where the kids do their school work or homework. So all these make our kitchen an important place and hence kitchen remodeling is a vital aspect of home remodeling. And to accommodate the daily routine jobs of our home we might have to reconsider the way our kitchen looks. Whether it is the lighting fixtures or the cabinet or tiles, we will get many factors to change or renovate our kitchen. Here I will provide some tips which might be useful if you are going for kitchen remodeling. First factor is the size and with the increase in our desire for new features, the demand for kitchen expansion is also increasing. If we go decades back we often see kitchen were not that large so to match up with this generation needs, kitchen has to be remodeled. Though there are cost factors because of which you often think of ruling out the factor of moving walls but at times it becomes necessary to add that extra square foot. What we can do is we can utilize the unused extra space in porch at the back of your home or the entrance way and sometimes some space can be used from the living room as well. Then comes the design which has to be chosen well so that it can match kitchen with your living style. Of course it depends mainly on how the rest of your home is designed. The color you use for your kitchen should go well with the color of your home and the finishing along with textures should be chosen well so that you will enjoy spending every minute in kitchen. And the layout of your kitchen is very important. That is how the current features of kitchen are positioned and how the rest of new features should be positioned. For example the appliance’s location, where the second sink has to be placed etc. There is a rule for kitchen design known as appliance work triangle which refers to alignment of fridge, oven and sink and lately this rule is called as work diamond with the popularity of microwaves and this name is given because of the simple reason that the alignment should be made in such a way that moving to these four appliances is made easy. And then you can explore the new possibilities and ideas of kitchen remodeling using magazines, internet, showrooms, builders’ models and your imagination. Even you can ask your friends or neighbors who have indulged themselves in kitchen remodeling in recent past. There are some points which you should consider and recheck whether you need them or not. You can consider including hobby area, work/homework space, computer space, a small space for a small television or radio or a small music system, dishwasher space, a place for your phone, a space for designed glass shelf to display your designer crockery and most importantly a fire extinguisher. Though you can’t have all that you dream for in your dream kitchen if your budget is limited but what you can do is hire a professional architect or contractor who designs the kitchen specifically and then that contractor will give you the cost effective ideas to remodel your kitchen otherwise you might end up spending thousands and thousands of dollars and still might not get it all you wanted. If you are looking for top quality but affordable Kitchen Remodeling in Plano, then you are at the right place. Home Platinum Services provides you wide range of remodeling services and will surely serve all your needs required for kitchen remodeling. In the course of kitchen remodeling in Plano, we have identified some areas that consumers stumble against when they remodel their kitchens. These areas are usually accounted for if you have knowledge about basic kitchen designing and how kitchen remodeling is done. Forearmed with this knowledge, you can figure out for yourself which will be the best option for you. The kitchen remodeling designers of Home Platinum Services have jotted down some pointers that you have to keep in mind. Follow the words of the experts and you will be in a better position to ask for a better kitchen within the constraints of your budget. Let us talk about kitchen layouts and shapes that you have to look at before kitchen remodeling. For those with larger kitchen spaces, a U-shaped design works best. The interior designers love to work on a U-shaped kitchen. There is a lot of room to try new things here. The next best option is the L-shaped design. This kind of kitchens is usually medium in size. For kitchen remodeling on galley kitchens, or those with counters on either side of the long, narrow kitchen space, designers have little room to manage things. However, you can try the two-way galley kitchen if you have enough space. This form of kitchen remodeling makes your cooking room look wonderfully compact. For households where there are more than one or two people cooking at the same time, we advise you to go for the G-shaped kitchen. 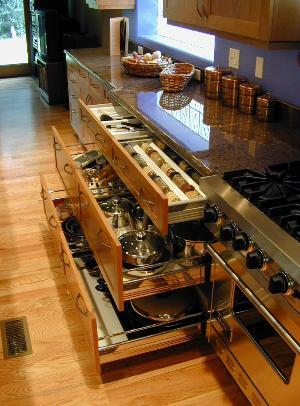 This kind of kitchen also makes allowances for greater storage. With more people in the house, it makes more sense to store eatables and other items in the kitchen. Go for the g-shape only when you have a bigger household to keep. The most economical kitchen space is, of course, the one-wall kitchen. You can attach this kitchen console on one part of the wall, leaving enough room to walk about or pack in a dining table in the same room! Home Platinum Services can guide you on which kitchen countertop will suit your kitchen remodeling initiative best. There are various kinds of material on the menu for your choice. Kitchen countertops can be made of marble, granite, lamination, wood or concrete. Marble countertops are particularly popular among kitchen remodeling needs because they come in an amazing variety of color and shapes. But if you are looking for something durable and formal, granite tops work best. True, the pocket pinch will smart a little but what you get will be true value for money. concrete countertops are a good alternative for that rich look though it doesn’t cost as much as granite tops. Wood kitchen countertops have their advantage, too. If you use wood in kitchen remodeling, you can alter the color more frequently. It also gives a fresh, natural look to the kitchen top. Inexpensive option to kitchen countertop is to use lamination. The lamination can be done in various material like craft paper, melamine coating or decorative paper. You can talk to our experts at Home Platinum Services for more information about kitchen remodeling in Plano, Frisco, Dallas.